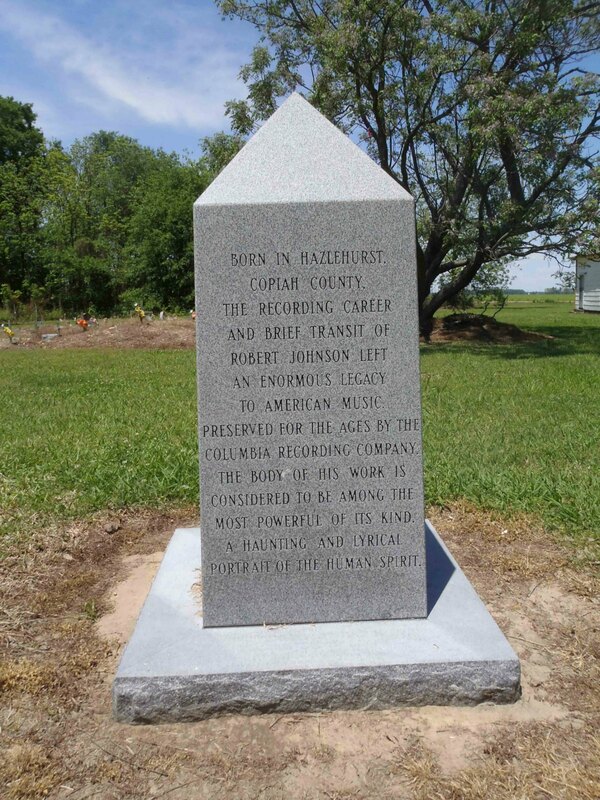 Robert Johnson is one of the most influential musicians in blues history, but much of his life is still a mystery to researchers. 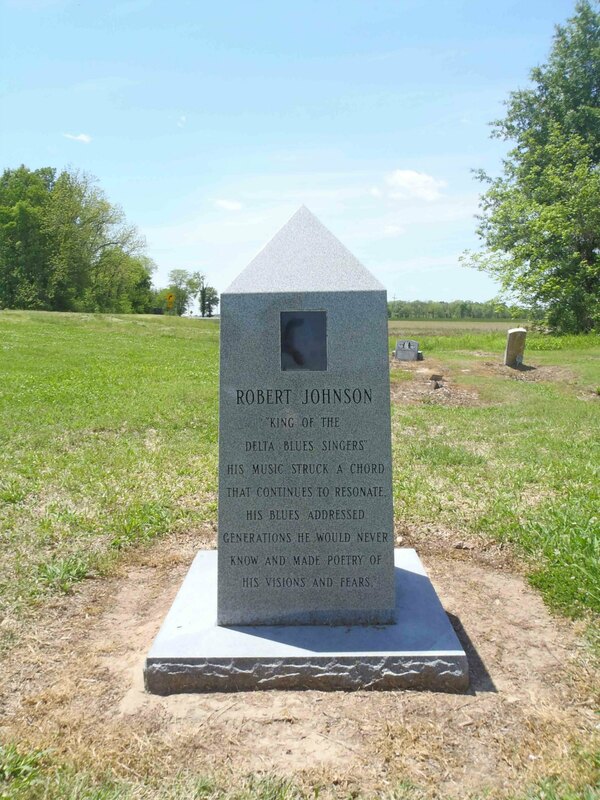 The exact location of Robert Johnson’s grave is a matter of dispute, as are many other details of Robert Johnson’s life. 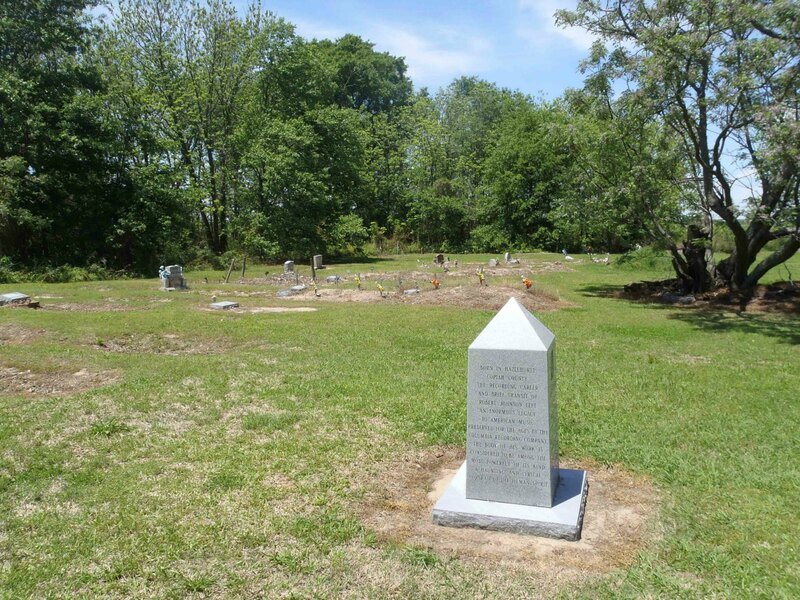 There are three reputed Robert Johnson grave sites in Mississippi: this one at Mt. Zion Missionary Baptist Church in Morgan City, one nearby at the Payne Chapel Missionary Baptist Church in Quito and the third at Little Zion Missionary Baptist Church near Money, Mississippi. 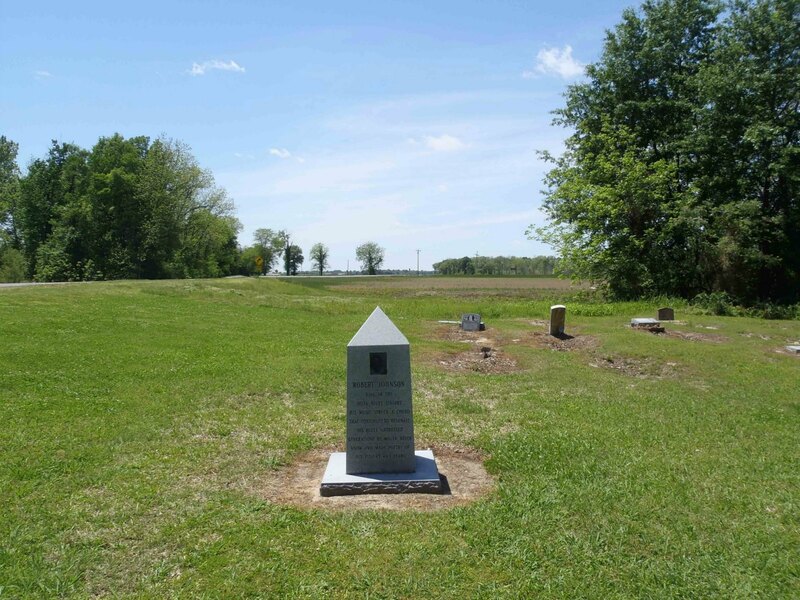 All three reputed Robert Johnson gravesites are in Leflore County. 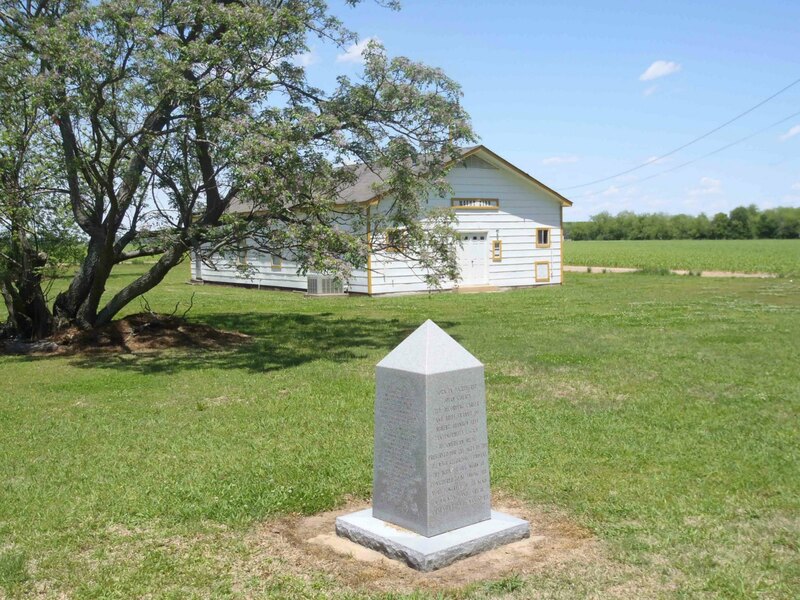 The evidence for this Morgan City location being the actual site of Robert Johnson’s grave comes from the research of Mack McCormick, based largely on interviews with Johnny Shines and David “Honeyboy” Edwards, both of whom knew, and played with, Robert Johnson. 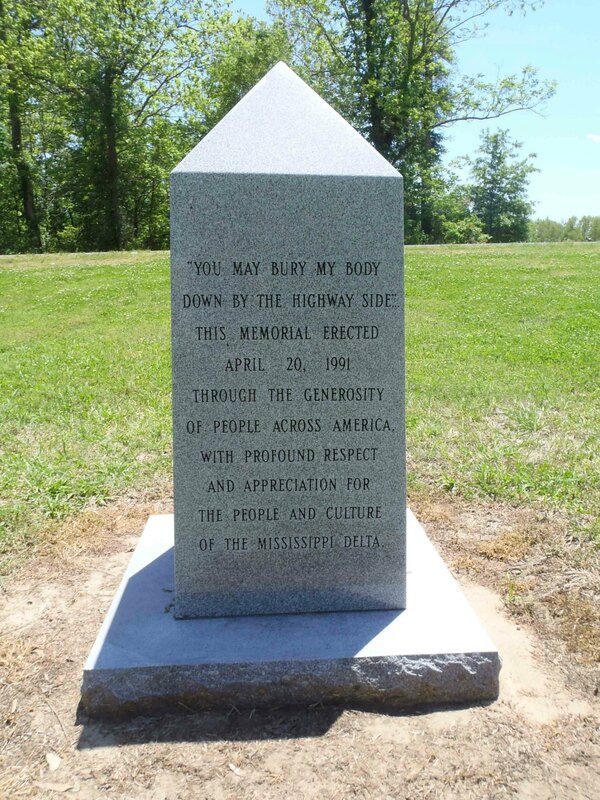 Perhaps this is indicative of the many conflicting stories around the enigmatic life of Robert Johnson. HIS MUSIC STRUCK A CHORD THAT CONTINUES TO RESONATE. 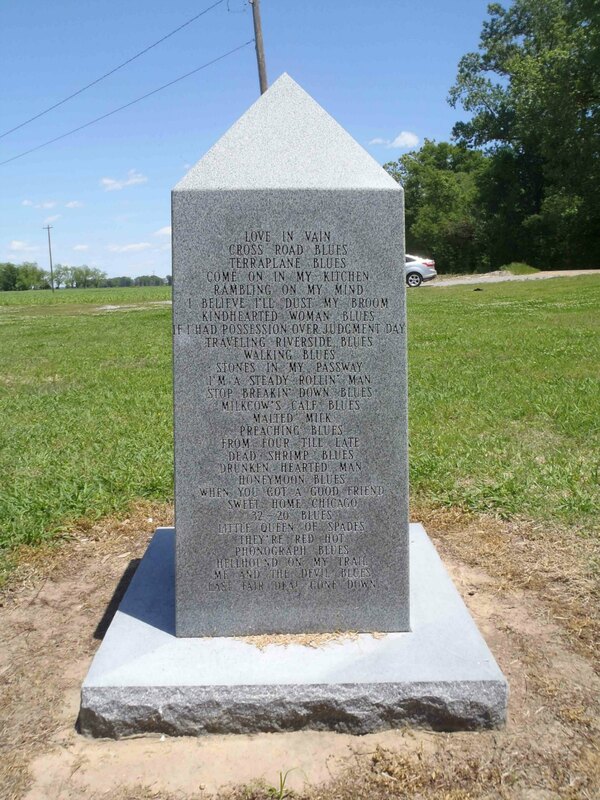 The west facing side of the marker lists Robert Johnson’s recorded songs, in the following order: Love In Vain ; Cross Road Blues ; Terraplane Blues ; Come On In My Kitchen ; Rambling On My Mind ; I Believe I’ll Dust My Broom ; Kindhearted Woman Blues ; If I Had Possession Over Judgement Day ; Traveling Riverside Blues ; Walking Blues ; Stones In My Passway ; I’m A Steady Rollin’ Man ; Stop Breakin’ Down Blues ; Milkcow’s Calf Blues ; Malted Milk ; Preaching Blues ; From Four Till Late ; Dead Shrimp Blues ; Drunken Hearted Man ; Honeymoon Blues ; When You Got A Good Friend ; Sweet Home Chicago ; 32-20 Blues ; Little Queen Of Spades ; They’re Red Hot ; Phonograph Blues ; Hellhound On My Trail ; Me And The Devil Blues ; Last Fair Deal Gone Down. 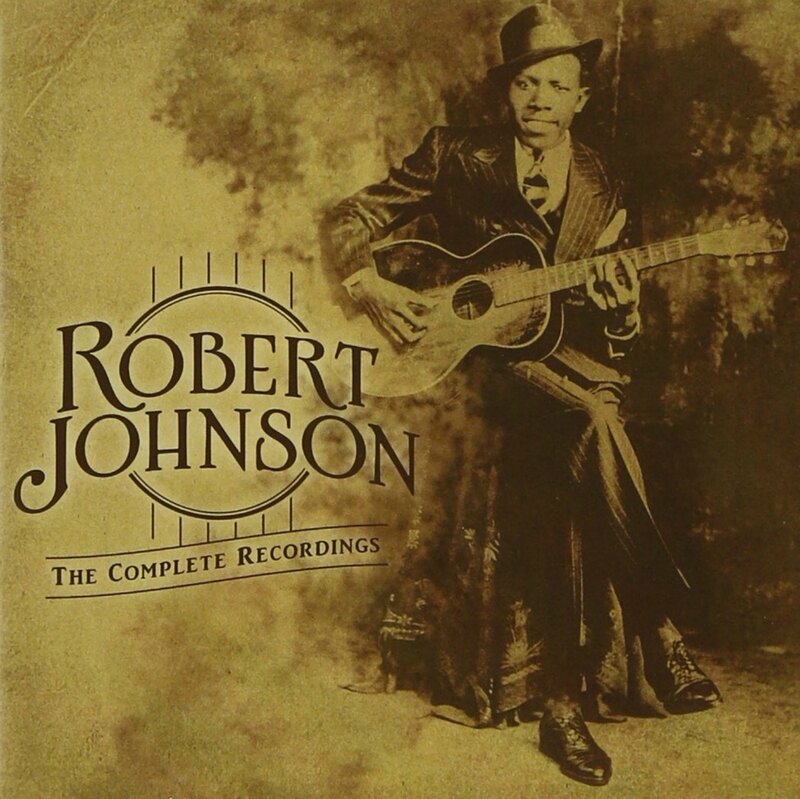 We consider Robert Johnson’s Complete Recordings an essential component of any blues fan’s music collection. 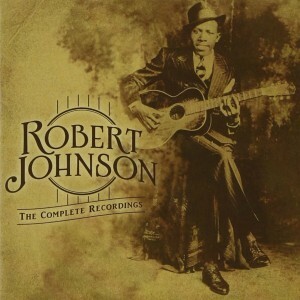 Our Recommendation is currently Robert Johnson – The Complete Recordings – Centennial Edition, released in 2011.